"Introduction to Independent Filmmaking" was a panel not nearly as interesting as its presenter, Kevin McKeever. If you want to know how to get into film, there are basically 2 requirements: luck and determination, and even combined they are no guarantee for success. For McKeever, it was all about working hard in any position that the industry he loved would have him in. From unpaid “go-fer,” to unpaid and then salaried script reader, and later on to head of marketing for Robotech for Harmony Gold, McKeever crawled his way up the ranks and saw the industry change with him as he grabbed each rung. The most interesting points in the panel came not from career advice, but those insights on marketing anime he gained while climbing and how they allow him to view the current market. When asked how the various forms of Internet distribution  streaming, downloads, fansubs, etc.  are changing the industry, McKeever acknowledged the impact. He said the Internet distribution is definitely affecting industry, but no one knows exactly how yet. It’s somewhat related to the VCR issue from days of old, when such recording devices were thought to purely promote piracy and yet ended up being the building block of the massive cash cow known as the home video market. Why sell per-hit views on websites for five cents, when you can sell a DVD for $30, right? Well, since we are a society of consumers focused on material, in-your-hands possessions, it stands to reason a large percentage of those who stream will buy hard copies. Even those that don’t, those that strictly download, are still contributing. And those that stream and let stream...every penny reaped from advertisers counts, no? Reflecting on the industry’s adoption of anime, McKeever recalls it as scarce at first. Anything brought to the big screen or little ones was intended for our little ones (children), and the seeming lack of adult content did not substantiate further investment. McKeever credits Transformers (2007) with opening up the anime genre (yes, he includes it in the anime genre) to the adult marketplace. Its unrivaled success  equal amongst males and females alike, surprisingly  spurred a frenzied need within all the major production companies, who had been watching to see what would become of the modernized nostalgia trip. 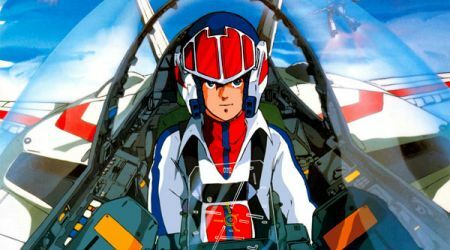 Thus the studios sought out their own “giant robot” franchise, their Cowboy Bebops, their Robotechs, their Speed Racers, their Akiras. Funny thing was, contrary to how easy it was to gain anime property and distribution rights in the past, studios found themselves in limited, strict contracts when courting their desired Japanese properties. The market had grown wise and greedy. Still, live action adaptations of anime are seen as a blessing through McKeever’s eyes. Much the same way as Internet streaming brings consumers to store shelves, so do these adaptations bring newfound fans of the presented stories/characters back to the original source material: anime. As for the future of anime’s success in America and elsewhere, McKeever said it all exists on a grassroots level. Fans are what brought this genre over, and fans are what keep spreading the gospel. This is why anime is a strong property. Each intimate word-of-mouth indoctrination between friends, even conventions that build face-to-face connections with and between fans and industry, spur purchasing despite a bad economy. And while otaku may get a little more picky about which titles they buy, they will certainly keep buying, and there’s something out there for everyone.